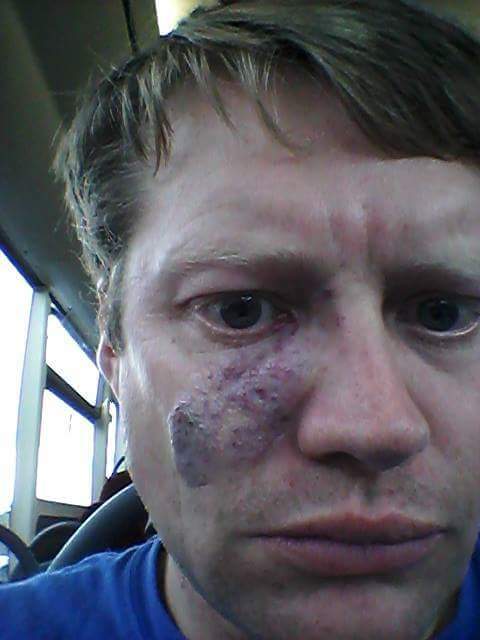 My name is Andrew Jenkins, and I have a port wine stain (Capillary Malformation), on my right cheek. It was looked at regularly until I was nine-years-old, I saw a plastic surgeon at Gloucester Royal Hospital, named Mr. Clive Reid. He intended to do a skin graft on my birthmark but decided against it because of the location, and we decided to put my name forward for laser treatment. In November 1992, I received a letter from a Mr. J M Kenealy from Frenchay Hospital in Bristol, offering me some laser treatment and offering a summary of how it works. I had a test patch done on my left arm and had no adverse reactions, so we decided to go ahead with the treatment.